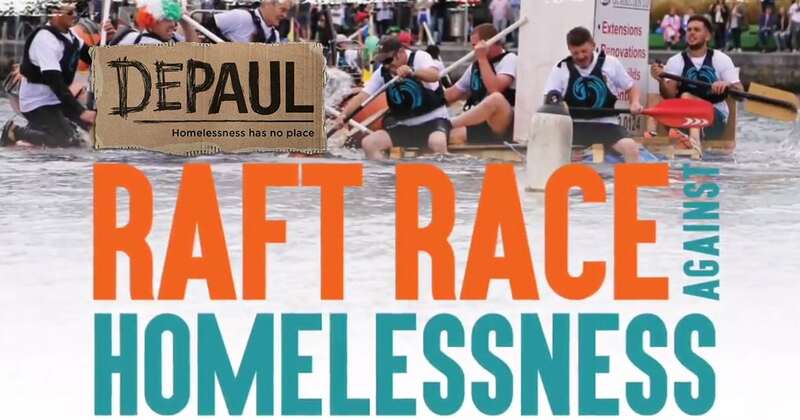 We are super proud to be supporting the 2018 DePaul Raft Race against Homelessness, this September in Grand Canal docks on september 8th. The annual race event pits teams of 4 in a series of raft races on Grand Canal Dock with the winning team taking home the cup and bragging rights for another year. All money raised through registration goes straight to supporting people in need of help due to homelessness and it is a fantastic event for teams of friends, family and even companies. No preparation is needed, just a willingness to have fun and enjoy a day on, and in, the water. All the equipment, buoyancy aids, paddles and rafts is supplied be DePaul who will have some tunes and goodies on hand to help with the atmosphere. This year’s event takes place in Grand Canal Dock, Dublin 2 on Saturday 8th September 2018. Click here to go to the full registration page for more information and details on how to take part. And if you need more help deciding if it’s for you, just watch this little video from last years’ festivities.